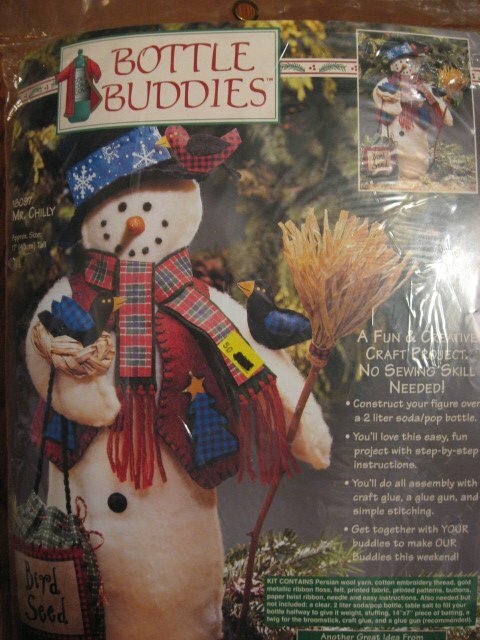 Cute Snowman Soda Bottle Cover to make. You will need a 14" X 7" piece of batting, and a soda bottle filled part way with salt or sand, a twig for the broomstick, and craft glue. ribbon, yarn, thread, needle, paper twist, and fabric pieces .